All Members: Please remember to sign in. pool Tournament: Friday: Teams of two for every Friday until a winner is declared! Devin Campbell is having fluid buildup in his abdomen which causes him to have difficulties with breathing. He’s having some tests coming up. Please see the posted report from the Amateur Built Aircraft Policy committee. Your comments and feedback are welcome! We’ll be voting to enact recommendations at our next Board meeting. Thanks to the committee for doing the research and their considered writings. The Safety Committee has posted their proposed policy amendments – please take a look and add any kudos, comments, questions or concerns. They have worked hard to come up with some innovations for safety and their work is appreciated. As a first step towards an AFC Safety Management System, Warren took the IMC club through ground-school-style IFR training exercises. Prepair was at Chinook Helicopters this year. Well attended by AFC members. Most of the issues with GSBS are resolved and the Certificate of Registration is imminent. We are closing in on having it ready to fly…. just a little more work and testing needed. Thanks to Bob Leroux for pointing out paperwork issues and to Bevan and his team of helpers for their ongoing hard work. We are all looking forward to the upcoming Wings and Wheels event coming soon. Planning is ongoing and as always we can use some more help. Please see Ed Boon for details. Call for volunteers for First Flights for Kids this year. Also I am considering strategies for increasing volunteerism on activities that are beneficial to the club and would like your input. Presentation slides from George can be seen here. Speaker for the April GM is Ken Hildebrandt – Airshow announcing. Subsequent speakers to be announced. Clubhouse operations are being managed by an informal group of volunteers, who take care of janitorial chores, bar restocking, kitchen consumable replacements, etc. On the social front, we had a well-attended St. Patrick’s Day TGIF on March 15th, and the pool tournament is in full swing, with semi-finals and grand final on April 12th. Preparations for Wings-n- Wheels on May 25th are well underway. 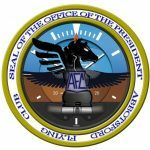 Financial position: As of April 1, 2019, the AFC had approximately $34.6K in its bank account with accounts payable of approximately $1.4K. No significant deviations from Plan (i.e., our budget) to report. All government remittances required to be made have been made. All tax or information returns required to be filed with the government have been filed. Janet Martens has just returned from holidays. We will have our next cheque run on or about April 15, 2019. We have requested from Godspeed a replacement gas card for GMA, but it has thus far not been provided. In the interim, we have no choice but to have members use their personal credit cards when purchasing fuel and then apply for a reimbursement of the charges incurred. Pursuant to the YXX Partnership Agreement, we have been provided with a written report on the partnership’s activities for 2018 (and plans for 2019). We have attached hereto the written report (the 2018 Annual Report) we have received from the President of YXX (Steve Stewart) along with the financial statements for YXX for the year ended December 31, 2018. I would ask for the opportunity at our upcoming meeting to speak to the 2018 Financial Statements and have Steve Stewart speak to the 2018 Annual Report (and the current status of the planned paving project). Occupancy of all hangars, storage spaces and tie-downs has been almost 100%. We have two unused areas of grass that are too small for aircraft parking or for hangars, but are not part of the necessary taxiway corridors. We have asked the airport about opening up the W&W area for additional aircraft parking, for both short term and long term. Most common ongoing maintenance issues are doors that are difficult to open, and which are repaired by a combination of adjustments and wheel replacements. The AFC building electrical panel has been replaced and upgraded, with proper provision for the airshow connection. The storage room door was replaced to allow storage of the snow blower, mower and other equipment. The old compressor was replaced by a smaller, movable unit. In December a windstorm removed five hangar doors, destroying one and damaging others. They were quickly repaired and we have an insurance claim in process for permanent repair or replacement. We took over the washroom contract, and now bill the airport for half its cost. Almost all hangar locks have been replaced with our own locks, and this process will be completed soon. The airport intends to change the vehicle gate from a code-operated lock to swipe cards, but this has not happened yet. A year ago, we applied, through the airport, for BC Air Access Program funding to repave the taxiways on our lease. The project is due to start next week and be complete by the end of April. Steve gave a short presentation with a diagramme of the hangar compound talking about the paving project. Starting very soon. Warren is in the process of updating the Glastar qualification lesson plan and evaluation. Andy and Warren will begin work this week in the production of a introduction video on the Club’s machine. Checkride system is being looked at again…. looking a a two tiered system based on yearly flying and self identification of skills. GMA: 10 hours away from the oil change from Mineral oil to regular mix oil. Oil colour is light so pay attention. Don’t add more than 6 quarts! We don’t need to coat the belly of the aircraft! Paperwork is in hand and is getting close! Andy and Warren are making steady progress with painting and clean up in the Clubhouse. Murray and I cut up and collected the fir branches , just south of the Clubhouse, that were brought down by recent storms. Parm’s staff was then good enough to remove them. We could always use extra good help in our endeavours in cleaning and painting, so if any members would like to be part of the solution, please contact me at wlegrice@gmail.com. A general clean up of the grounds and clubhouse will occur in May, closer to the Wings and Wheels event, so standby for further. 9. The Tenant shall not, at any time, operate, or permit or allow any subtenant or licensee to operate, an aircraft refueling facility or perform any aircraft refueling on the Premises. Thus, re-fueling is not actually allowed, despite the willingness of this provider. The Honourable Company of Air Pilots, North America section will be visiting Comox again within the next few weeks, and the visit will include attending a Snowbirds practice session. Alistair Beaton is the organiser. The date is not yet fixed.Anyone interested in participating needs to apply for HCAP membership. Hope Gives Wings: Lise Ash talked about it. Lise will be flying and is excited about the opportunity and the ability to raise money for a very worthy cause! Poker Run: May 26 rain date 3 June! come out and participate! Airshow: May 4 will be an airshow member event with Grumpy, B-25 Mitchell. This entry was posted in General Meeting, Minutes on 2019-04-10 by Secretary. Not much to report this month except to say that we are all looking forward to the upcoming Wings and Wheels event coming soon. Planning is ongoing and as always we can use some more help. Please see Ed Boon for details. Prepair coming to CYXX in March – I hope to see you there! 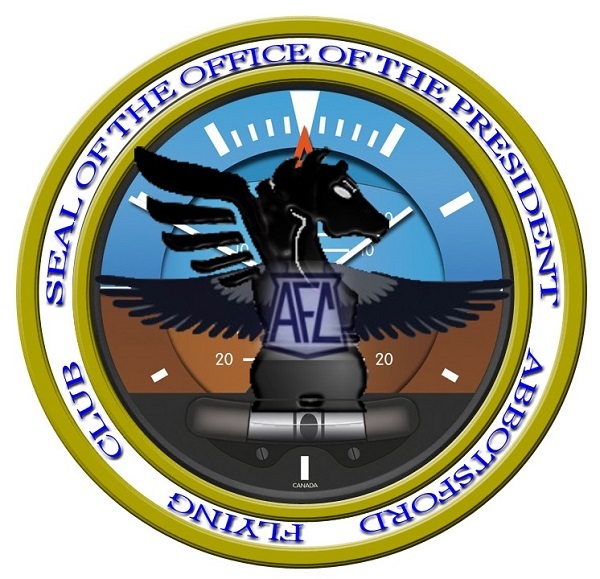 This entry was posted in Blog, Newsletter, President's Column on 2019-04-06 by Secretary. The Red Arrows are scheduled to make a series of flybys over the waterfront areas of Vancouver and Victoria on the 26th of September… they will be staging out of Vancouver International Airport. This entry was posted in Blog, Newsletter on 2019-04-06 by Secretary. Hope Air helps to relieve the stress of travelling to healthcare so that patients can focus on what is truly important – their health. Hope Air is a national charity that arranges free flights for Canadians in financial need who must travel to healthcare far from home. Since its establishment in 1986, Hope Air has arranged more than 130,000 free flights to healthcare. This has impacted countless Canadian families over the years. For so many Canadians, the journey to better health doesn’t start at the door of the hospital. Getting to an appointment can mean a drive of over 12 hours each way, a long and sometimes painful journey for someone who is seeking treatment for serious illness. A flight to medical care reduces travel time so that Hope Air’s Clients can get to their appointments comfortably and get back home to their families faster. In June / July 2019, Give Hope Wings takes to the air again with a three-week, 12,000 km flying expedition across British Columbia, Yukon, Northwest Territories and Alaska. The flight is comprised of three aircraft owned by Dave McElroy, Steve Drinkwater and Ian Porter. This is the second major Give Hope Wings expedition to raise awareness and funds for Hope Air, Canada’s iconic charity which provides free flights to Canadians in financial need who must get to health care far from home. But Give Hope Wings – The Northwest Expedition is much more than a fund-raiser: It’s an idea stemming from the passions of four pilots, these three men plus Lise Ash – all four of whom have passions for generosity, flying and camaraderie. In early 2018, Dave and two other partners flew around South America as Give Hope Wings, raising over $500,000 for Hope Air. In September, soon after Dave had presented this remarkable story to a crowd at Abbotsford Airport, he was approached by Lise, a recently minted pilot. She asked if Give Hope Wings was considering another flight and pledged her support as a major sponsor if this were to come to pass. Bingo: Give Hope Wings – The Northwest Expedition was born. Since that time, Steve and Ian have joined the project with their aircraft, and this exciting expedition is now well along in its planning: logistics, operations, website, fund-raising, etc. The crew are now also actively canvassing for Volunteer Flight Crew Members – generous Hope Air Donors who want to “pay it forward,” share this great adventure and experience the penultimate bucket-list adventure. This is a chance to explore huge parts of North America’s northwest corner from a comfortable, high-visibility seat which is only available in a light aircraft. What an experience! the 2019 AFC pool tournament is well underway! Gerry, Hieu, Zoltan, Kevin, Chris, Carol, Robbie and Murray. All participants working hard to win their respective games! Good luck! This entry was posted in Blog, Member News, Newsletter, Socials on 2019-04-06 by Secretary. This entry was posted in Member News, Newsletter on 2019-04-05 by Secretary. The Abbotsford International Airport’s pile of cash continues to grow after the city-owned facility posted a $3.8 million profit in 2018. It’s not bad for an airport bought by the city for just $10 – that’s not a typo – two decades ago. Year-end financial statements show the airport’s operating profit jumped by 60 per cent last year. The money has been put into the airport’s capital reserves which, as it stand, are “more than sufficient to cover our future capital plans without the need of incurring any debt,” according to the report by Myra Webb, the airport’s finance manager. In recent years, the airport has posted operating profits of a little more than $2 million. But revenue increased dramatically last year, coming in $800,000 above what was projected, thanks largely to more passengers. YXX expects another jump in passenger counts in 2019, and officials have predicted that it will top the one million mark for the first time. That is expected to increase the facility’s profits for years to come, according to budget documents. The city’s budget predicts the airport should make around $4.5 million for each of the next five years. All that money goes to the airport’s reserves, which currently stand at $18.9 million. The money is used to pay for capital projects, like the recently completed terminal expansion. But while the airport is set for the short- and medium-term, Mayor Henry Braun said those reserves will be needed for future major projects. Those costs could include moving the control tower, an idea that has been floated by transportation authorities in the past, he said. And the next terminal upgrade could cost tens of millions of dollars, he said. The city has long said that all such capital projects must be funded by the airport itself. For now, though, the airport has plenty of money. YXX plans to spend around $5 million on a new bag room over the next three years. When that is done, the terminal will be big enough to accommodate as many as 2.5 million passengers each year before it needs a further expansion, airport general manager Parm Sidhu told council last month. Another $10 million will be spent over the next five years to replace or upgrade various buildings, roads, taxiways, and pieces of equipment. But even with that spending, the airport should be able to add millions of dollars more to its reserve funds. Interest on the money in the two funds brought in more than $400,000 last year. Abbotsford Airport was bought from the federal government for $10 in 1997, on the condition that it remain an airport and that the city itself not contribute any money beyond that small initial purchase price. Five years earlier, the airport had lost more than $200,000, and Braun hailed Matsqui and Abbotsford mayors Dave Kendall and George Ferguson for seeing the potential in the airport. “Those two gentlemen and the board are what made this happen,” he said. This entry was posted in Airport, Blog, Newsletter on 2019-04-05 by Secretary. One advantage of flying club membership: Free fly tying lessons! This entry was posted in Blog, Newsletter, Socials on 2019-04-03 by Secretary. Hello, dear club members, and welcome to a new month! After my wildly incorrect Spring-time musings about the pleasant weather of February I have decided to not make any predictions for March. Sorry about that. Despite the snow, the cold, the wind and other wintery weather February did have some bright spots. A highlight for me was attending Warren’s recurrency training. It was very informative and left us all with lots to think about. I’ve jotted a few of my own observations, below, and I welcome any other insights you may have. March is shaping up to be a good month. Your Vice President has planned out a St. Patricks Day celebration and a Pool Tournament that will run as long as it needs to run, depending on how many people cue up. Warren will be doing his safety presentation this month since we cancelled the February meeting due to snow. And, with the promise of summer whispering on the wind, GSBS will be undergoing test flights later in the month. Ed Boon and his crew of volunteers have also started planning for the Wings and Wheels event, scheduled for May 25 th – we’ll be sending out a call for volunteers through the Secretary in the coming weeks. Also, the good folks at Prepair have reserved a few seats exclusively for AFC members! If you haven’t already registered, please look back in your e- mail for the Prepair message from Secretary Augie to get the link. As a low time pilot, I’m always curious to know about the lessons that more experience pilots have learned over the course of their career. I’ve written some of the lessons I learned from Warren in bullets below, but I’d also like to hear from you! Feel free to send in your favourite lesson learned – or better yet, write an article for the newsletter to share with your fellow members. Flying margins literally means you have left yourself no room for errors. How many mistakes do you make before deciding not to fly? Confirmation bias is when you choose to see what you believe rather than believe what you see. Every problem is easier to solve on the ground. Pride and fear can do harm – declare an emergency if you have to! This entry was posted in Blog, Member News, Newsletter on 2019-03-06 by Secretary.